Ok…this one is SUPER easy! And adorable! All you have to do is buy slice and bake cookie dough. (I did some sugar, some peanut butter. The one shown here is PB.) You cut them into circles, like normal, and then squeeze in the sides to make a big part and a little part. Bake them according to the package. 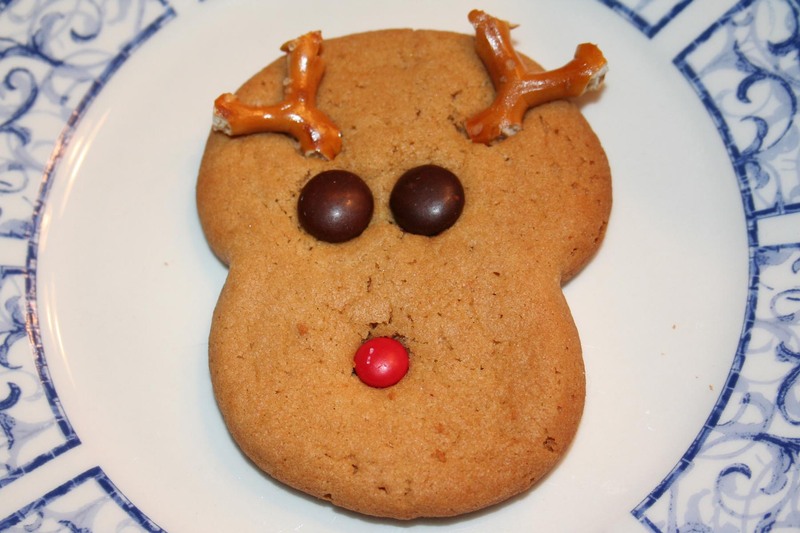 And before they cool you put on broken up pretzels to make the antlers; M&Ms for the eyes; Mini M&Ms for the nose. 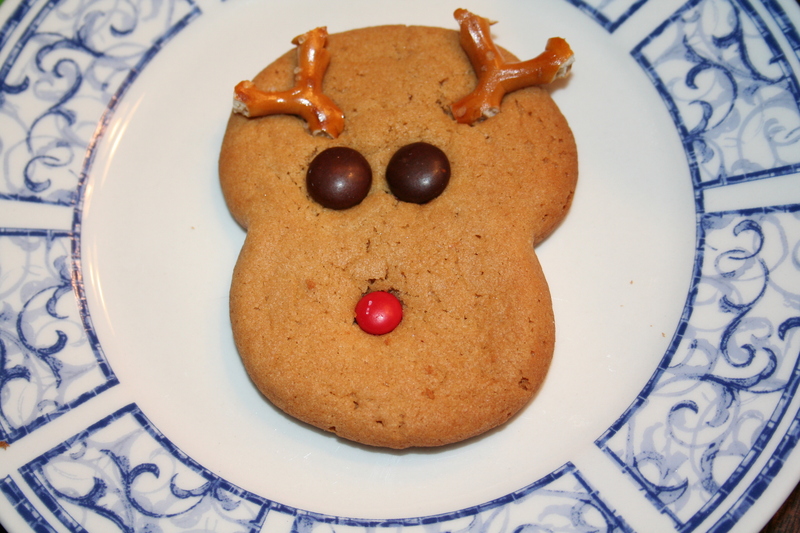 And voila…you have the cutest little Christmas cookies ever. And they must taste better than regular cookies, too, because Carter keeps asking for more! Why didn’t you bring these to school?? They are too cute & look yummalicious!